Khlong or canals have always a vital part of Thai society. About 150 years ago, King Rama IV had one canal built which is connected to the Chao Phraya River and the Tha Jeen River. This canal was named Khlong Mahasawat. 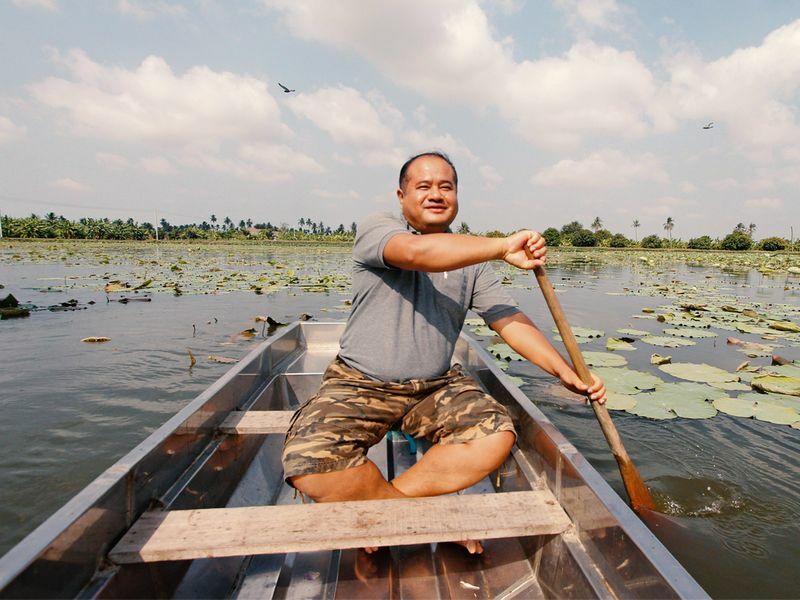 Khlong Mahasawat is a 28-kilometre long canal that was once used for travelling to one of the province’s temple. There are many attractions along Mahasawat Canal where visitors can rent a boat and float along the canal to places. First stop will be at an orchid farm, owned by Mr. Choup. There are many kinds of orchids here that come in all splendid colors and shapes. Mr. Choup does not only grow these orchids, he also sell and export them to Japan as well. 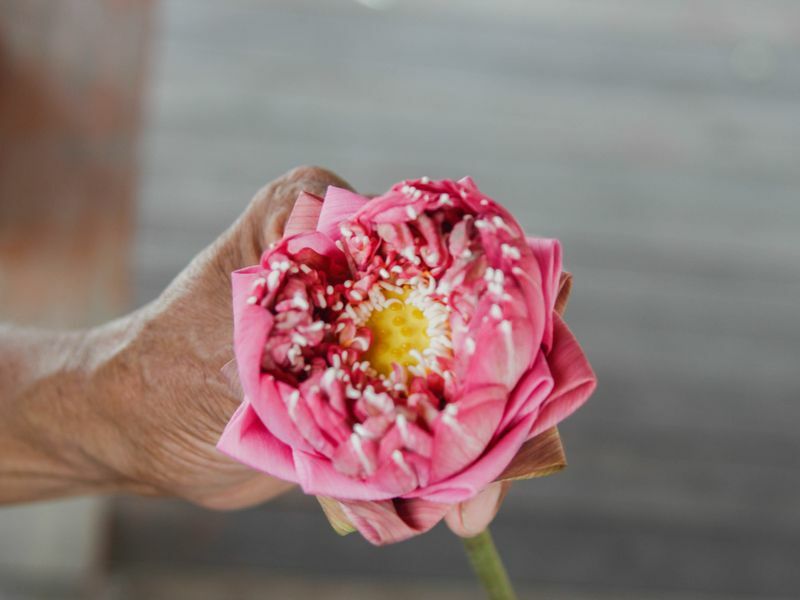 Moving on to the second stop, Nabua plants farm (Lotus Farm), visitors can select and buy lotuses at the farm to take some back home. 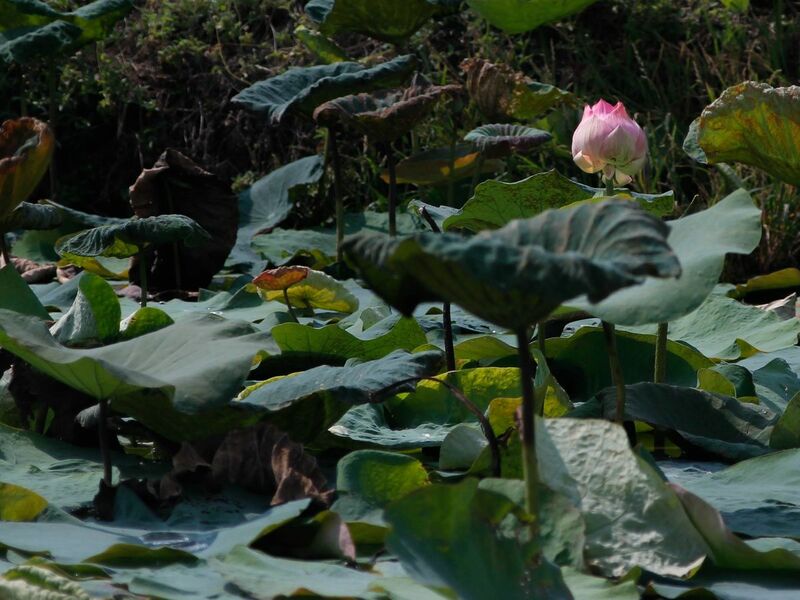 Lotuses at Nabua farm have grown to cover up the entire surface of canal.These are aquatic plants that bloom most in the mid-afternoon time and become very beautiful and impressive to see them. The third stop is a snack shop that is famous for its crispy rice cakes. Here, visitors will be encouraged to try making rice cakes themselves, topped with two topping; sesame seeds and shredded pork. This rice cakes here are promoted as a local product though out the country in OTOP program (One Tambon, One Product). Apart from the tasty rice cakes, banana chips and mango sheets are available here. The canal tour is super interesting even for Thais themselves. Most have never experience the agro tour like this as the city developed. The tip is not to miss the fried rice crackers topped with coconut sugar syrup!